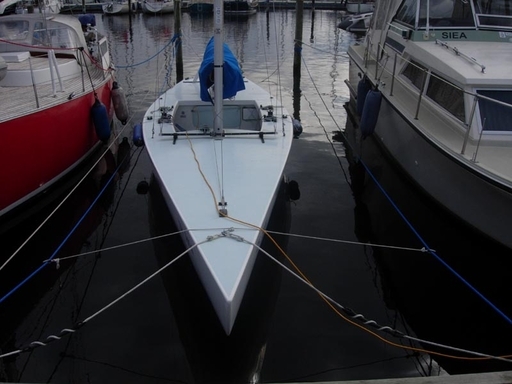 The boat came to Denmark in 1999, sailed by Astrid Vingnaes and Steen Rugaard Christensen and sold some years ago. So far no reconfirmation of a registration with the Danish Sailing Federation. SUI 165, 166 and 170 are sisters and have been jointly designed by Oskar and Juerg Weber. Juerg or Oskar Weber ?